The ZAD – Europe’s largest autonomous territory that emerged from the struggle against a new airport for Nantes in France – is in danger of being evicted by 2500 riot police that invaded the territory on Monday this week in an attempt to destroy this significant social, agricultural and economic experiment. ​”#ZAD #NDDL #ZADResist! For live updates ​on the resistance to the eviction of this magnificient laboratory of the Commons, see this ​in French​​: ​Infos du mercredi 11 avril – alerte expulsions! 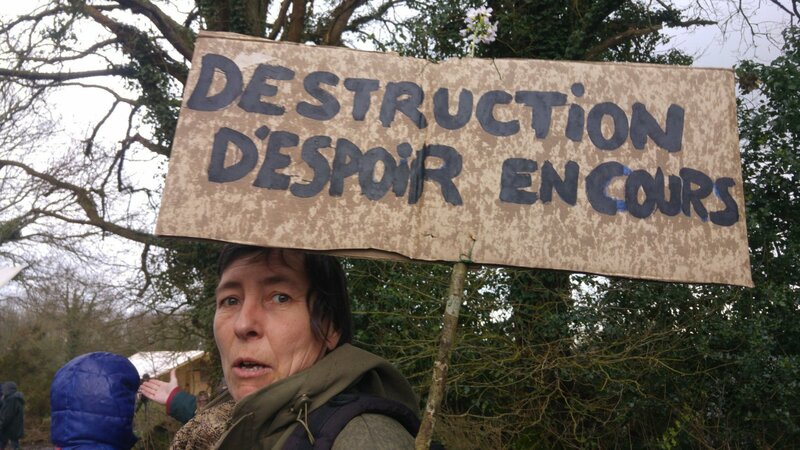 and this for English: ​Live Blog: The Eviction of #ZAD #NDDL Day 2: #ZADResist! Last, be sure to sign this petition to support the ZAD: Comme à la ZAD de Notre-Dame-des-Landes, défendons d’autres manières d’habiter. 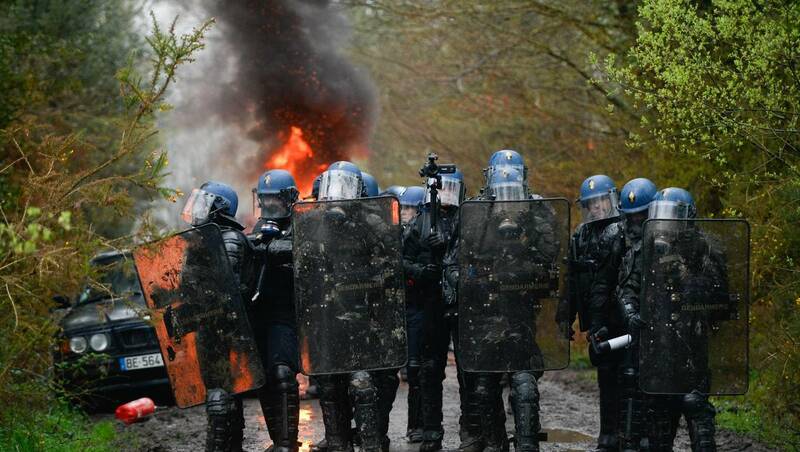 The ZAD: We are writing with the smell of tear gas rising from our fingers. The springtime symphony of birdsong is punctuated by the explosive echo of concussion grenades. Our eyes are watering, less from the gas than the sadness; because our friends’ homes, barns and organic farms are being destroyed. 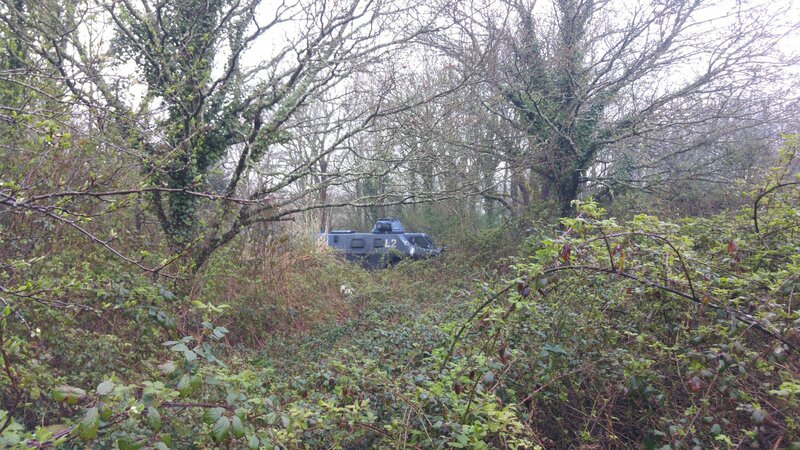 Bulldozers, supported by 2500 riot police, armored vehicles, helicopters and drones, are rampaging through these forests, pastures and wetlands to crush the future we are building here on the to the zad (The zone à defendre).